We all have those lazy days where the snooze button is our best friend or we only feel like applying a minimal amount of work to our look. Other days we feel like looking like a model, but some days aren’t those days. However… we also want to look good too, and that’s why I compiled this list of lazy girl beauty hacks. So even if you’re having an off day, you can still look like you’re on your game. Down below I found some awesome tips and tricks for getting your look when you’re having a lazy day. So try them out and let me know what you think! If you want your perfume to last longer when out (especially if you didn’t feel like taking a shower), then try applying Vaseline before spraying. For those who don’t feel like going to a beauty store to get oil blotters, just reach into your cupboard and use a coffee filter to get rid of the excess oils. 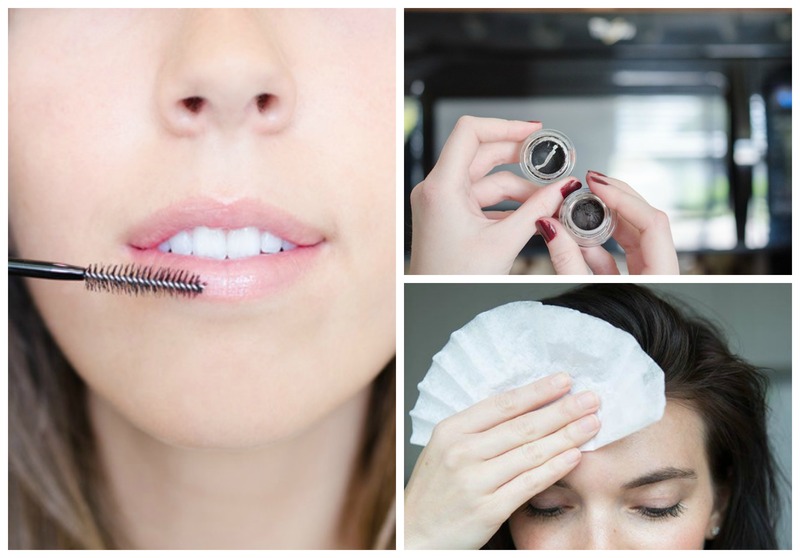 I hate having chapped lips with dead skin, but this hack will definitely help me out when I want them to look smooth. Try spraying your hairpins with hairspray so that your easy hairdo sticks around longer during the day. If your hair is already curled, but you want it to look more full (and like you did it today), then try stacking it at the top of your head and spraying the ends. Then let it fall down; this will give it extra volume. Yeah, we don’t all have the time (or motivation) to stock up on our beauty products. So if you find your gel eyeliner growing thin, just pop it in the microwave for a few seconds! Speaking of making older makeup products lasting longer, if you’re running out of mascara too, just add a few drops of saline solution! Now if you’re feeling too lazy to get your hair touched up, try applying mascara (that matches your haircolor) to your roots! Sometimes we get up a little too late for work and have to rush, and sometimes we’re just not feeling like spending an hour in the bathroom. And even when we feel like this, we still want to look good, which is why I love lazy beauty hacks. All you have to do is just apply a few of these tips and tricks and you’ll be ready to walk out of the house. Now if you have any questions about these lazy girl beauty hacks, just let me know in the comments down below! I’d love to help you out! Thanks so much for this list! I have four kids, so most of the time my hair and makeup are a hot mess. I love tips that can stretch my dollar or save me time and bonus points if it does both. I can honestly say that I have done at least 3 of the tips on this list and will be trying a few more. Most of these I was already aware of, but I had no idea about the vaseline! Thanks for the tip! Glad I could help you out Chelsea!